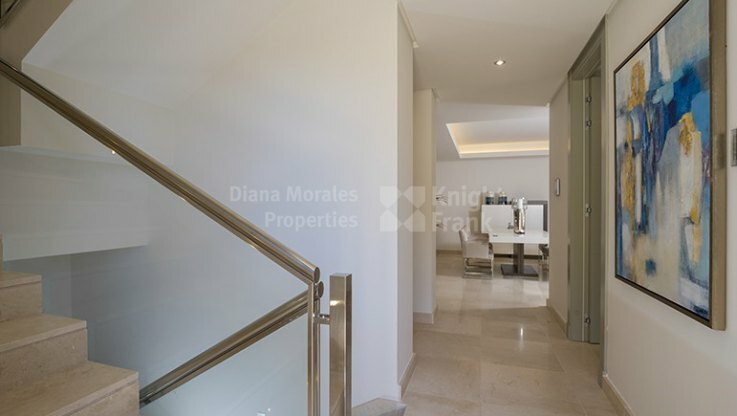 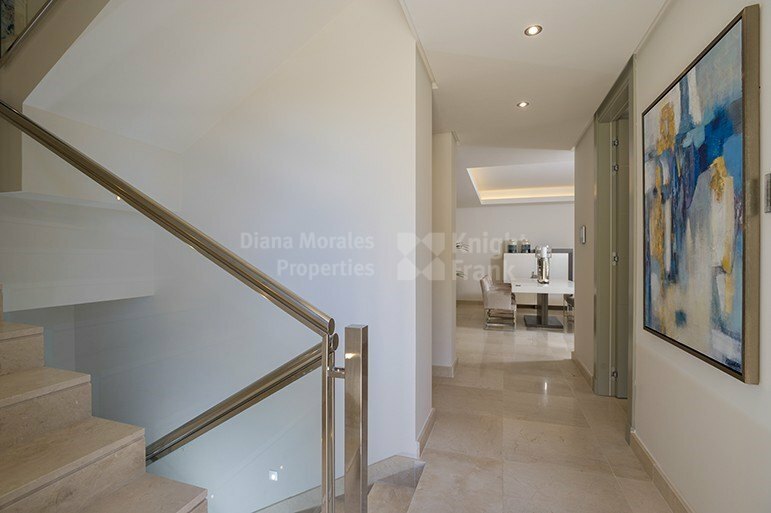 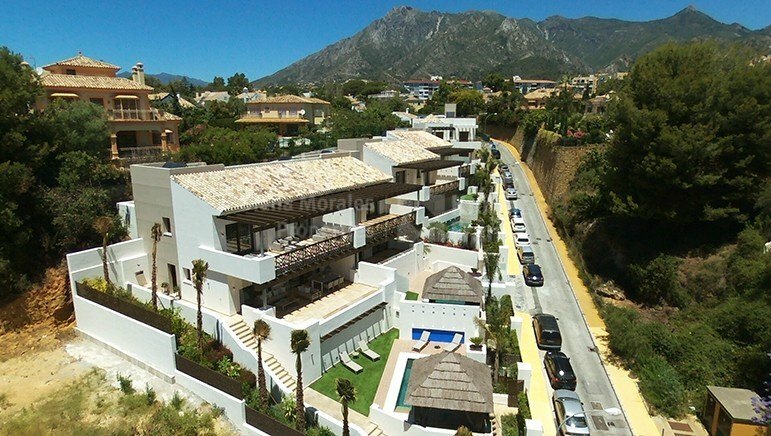 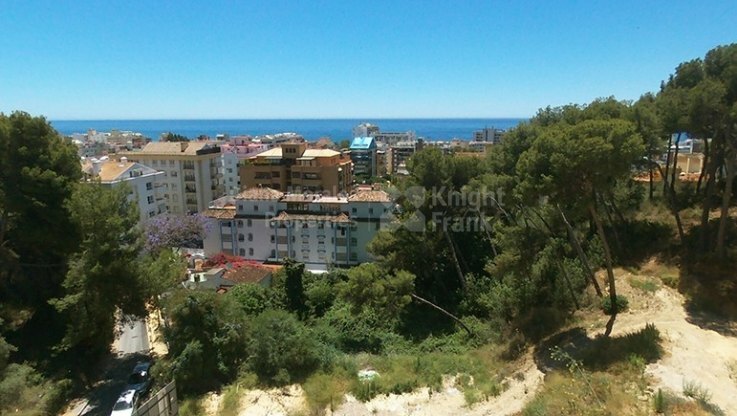 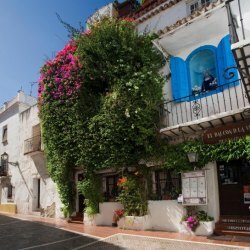 Please, send me more information about ref DM4109-02 in Marbella Centro, Marbella or similar properties. 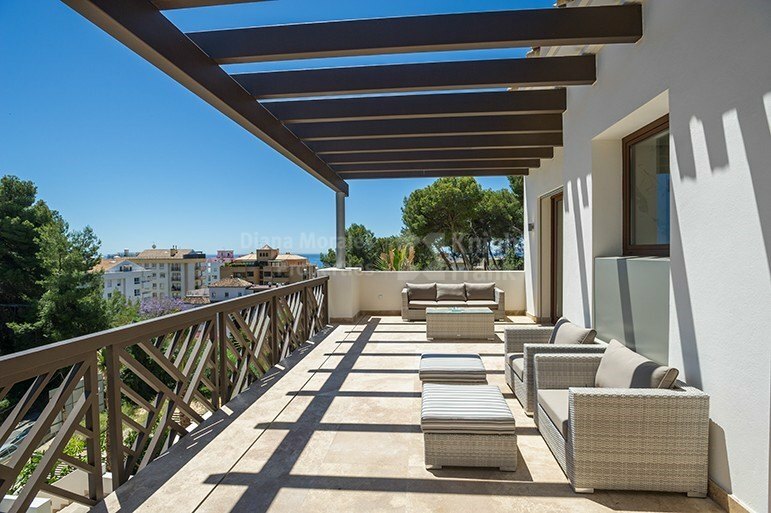 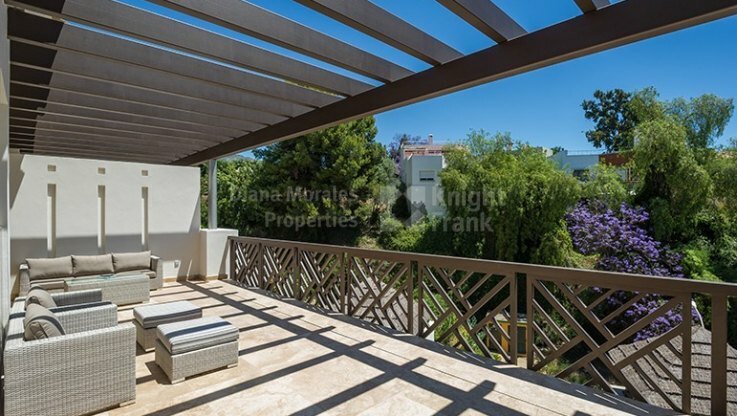 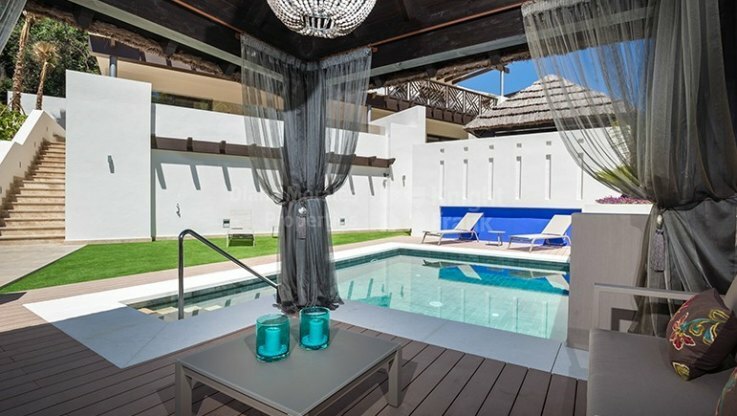 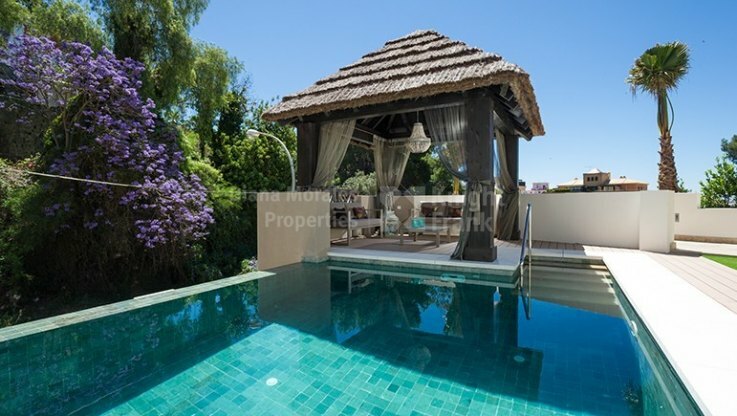 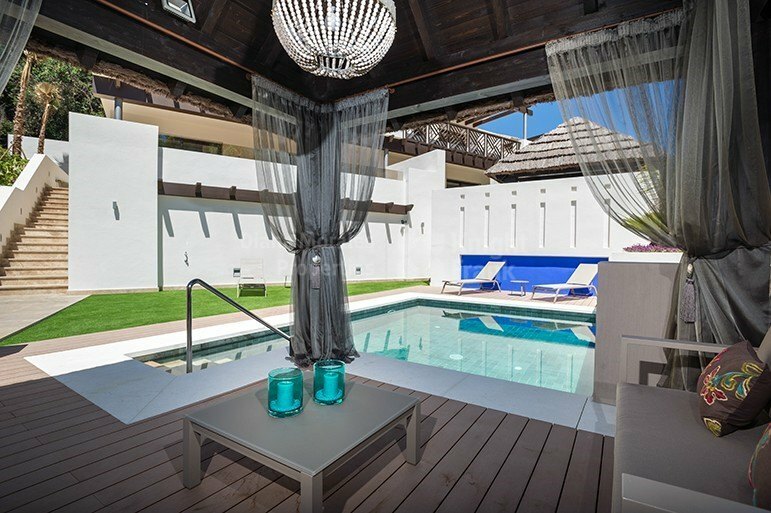 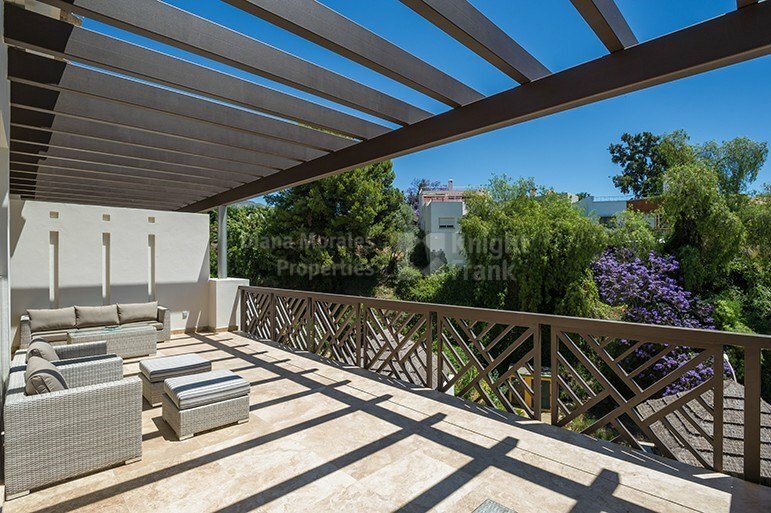 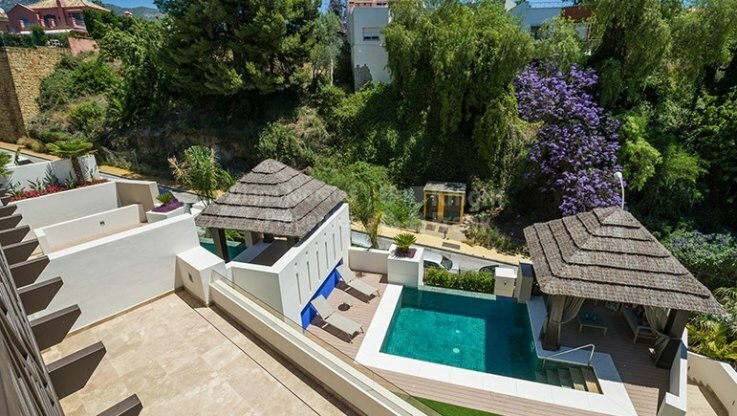 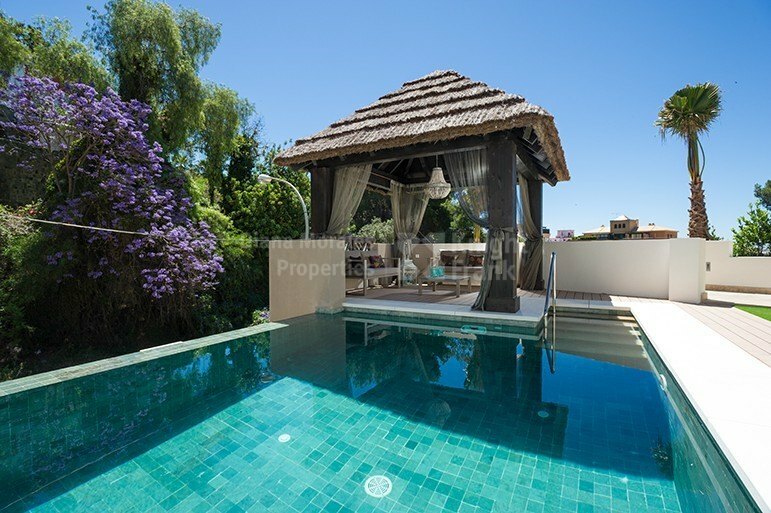 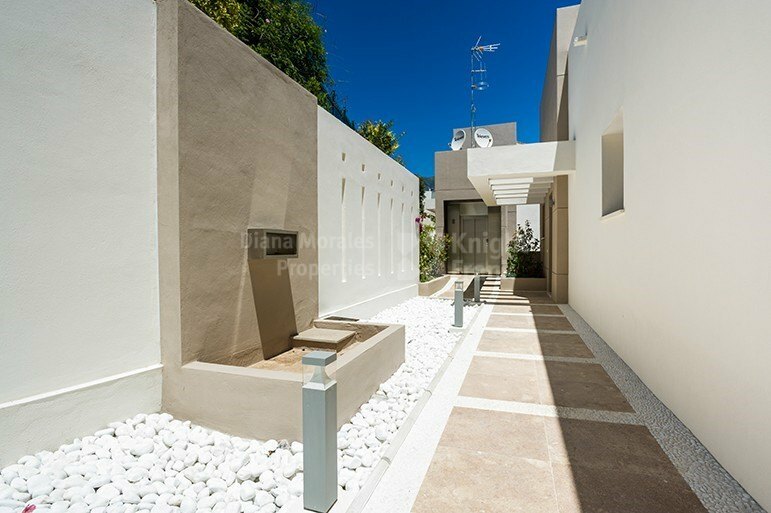 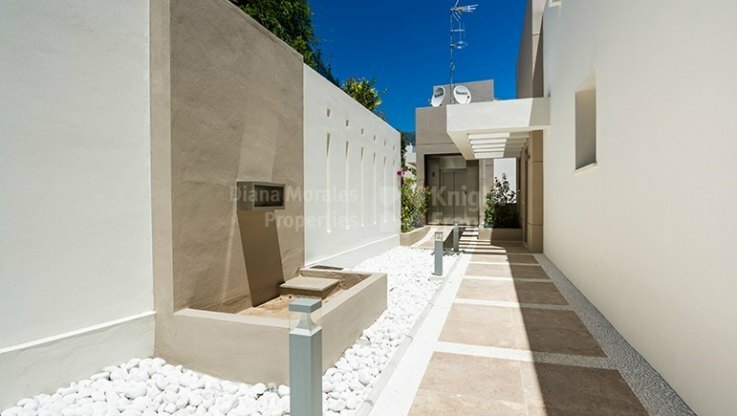 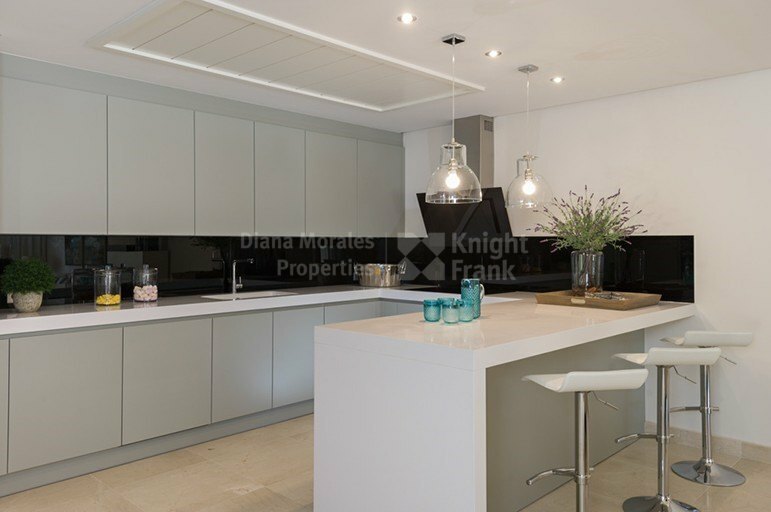 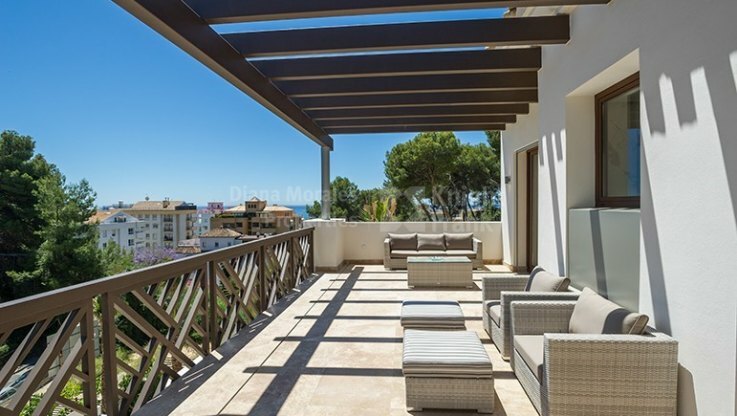 Carribean style south-east facing villa set on an elevated plot with sea views in the centre of Marbella town at approximately 50m from its main Avenue with a good range of services such as banks, restaurants, bars, pharmacies, shops and others. 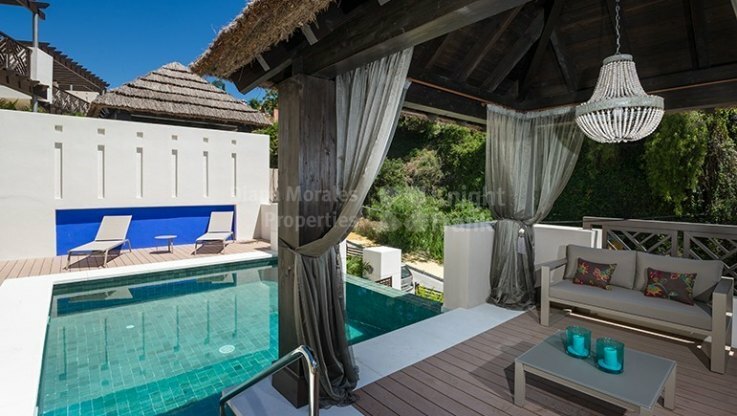 Built over 3 levels the property comprises on the ground floor an entrance hall with a guest toilet, a guest bedroom with shower and exit to the terrace, fully fitted kitchen with Neff appliances open to the spacious lounge/ dining room and further open terrace which leads to the plunge pool. 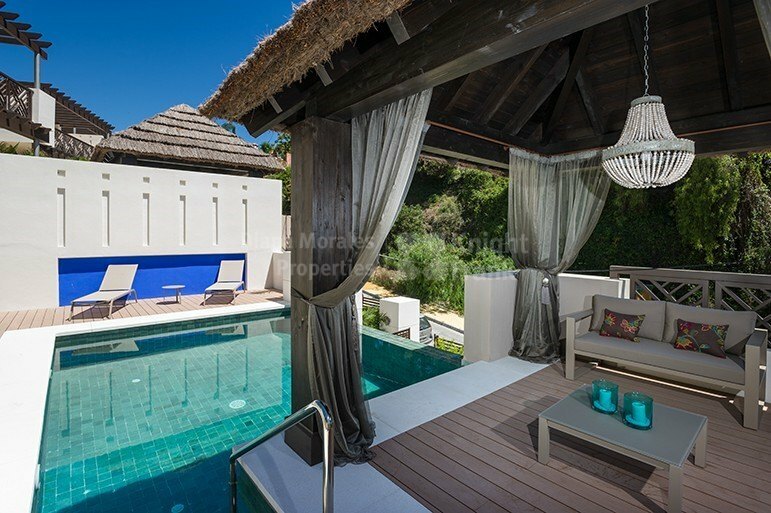 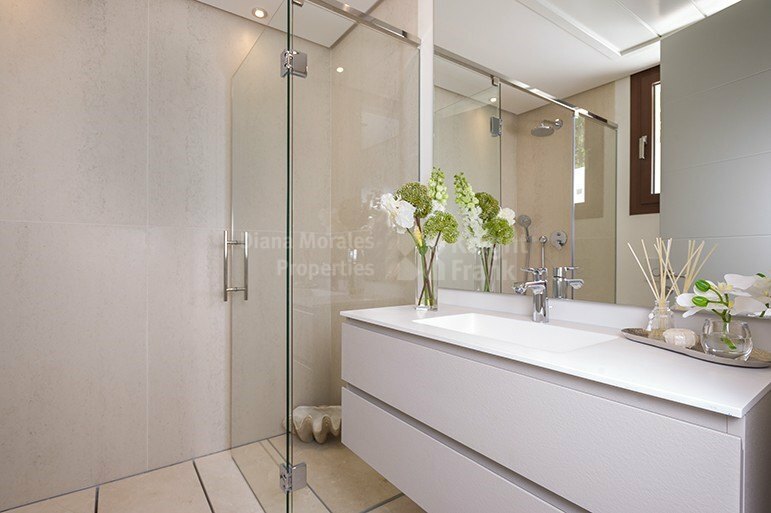 The upper floor accessed either via marble staircase or an elevator houses two more bedrooms each with private shower room and terrace with sea views. 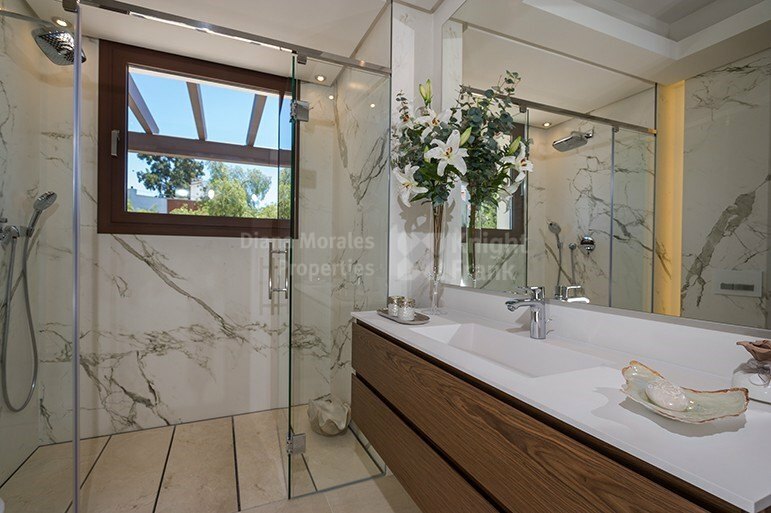 The master bedroom is highlighted with the vaulted ceilings. 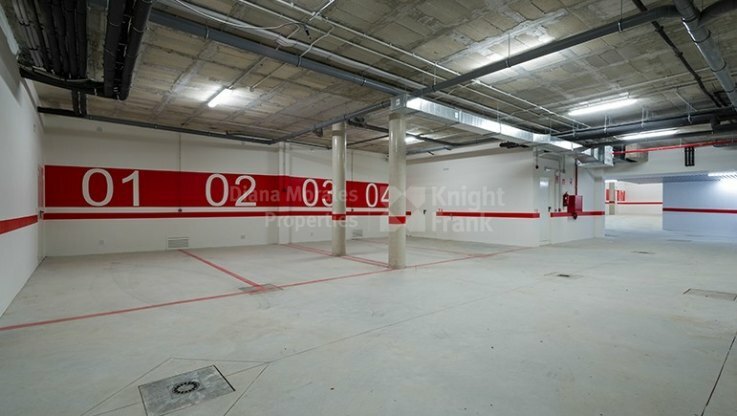 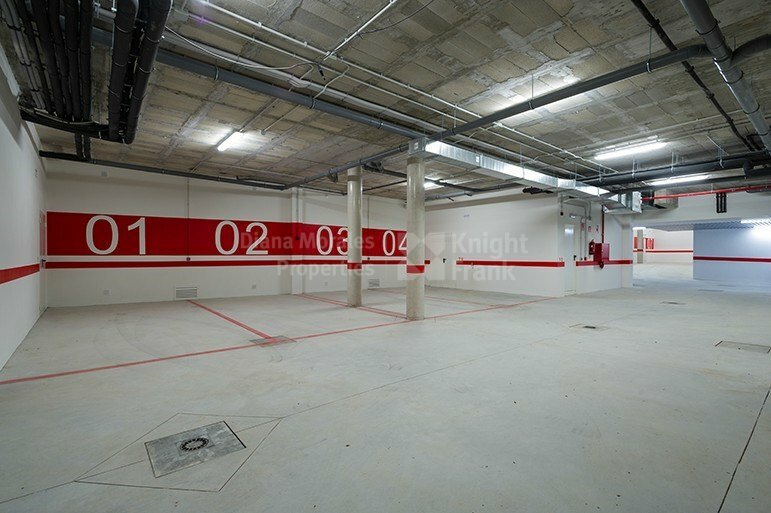 In the communal garage, there is space for 1 car and storage. 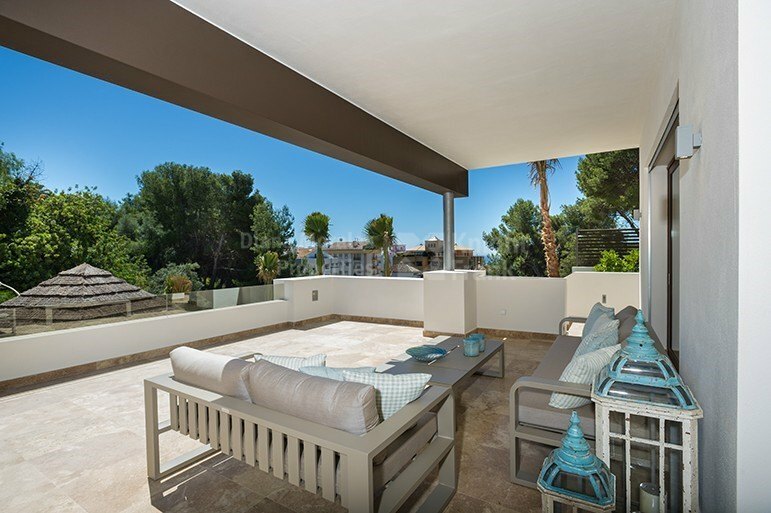 Air conditioning, aluminium carpentry, marble floors, electric shutters, private garage and elevator are some additional features.